This is a great PC mini, and has a lot of personality to finish out an NPC as well. Pirates are always good to have, but this mini could be used as a fighter as well. 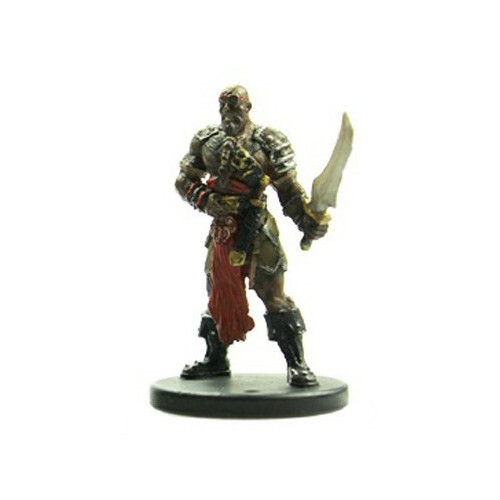 This is a good sturdy mini with lots of excellent detail with heavy armor and a sword that mark it as a fighter type. It was in excellent condition when i got it, and so far since it arrived it has served as a goon, a captain, a bandit leader, and even a fallen cleric. The price is a bit high, but worth it for all the game play you can get out of it.